Brickell’s development business is back, and it’s booming. Whereas last decade saw empty condo towers standing tall as skeletal reminders of a recession past, 2013 saw the continued construction of the Brickell CityCentre, a $1.05 billion mixed-use development backed by Hong Kong-based Swire properties, as well as the sale and groundbreaking on numerous other projects from developers like Related Group and Rilea Group. Brickell CityCentre hopes to offer a 520,000-square-foot shopping center, 120,000 square feet of office space, 800 condos in two towers and more than 3,000 parking spaces. And that’s just phase one. “Construction has come back really fast, a lot faster than everyone thought,” said Diego Ojeda, vice president of the Rilea Group, which broke ground last week on its 1080 Brickell Ave. condominium project, the Bond. The 43-story residential building offers 328 planned units, averaging around $500,000 a unit, Mr. Ojeda said. In a show of developer camaraderie, Mr. Ojeda credits Related Group’s MyBrickell 28-story condominium tower, with 192 units at 75 SE Sixth St. as leading the way into a new era of Brickell-area development. “New projects have started this year. It was MyBrickell that started it. It came out with an attractive finish and it opened the doors for everyone else,” Mr. Ojeda said. 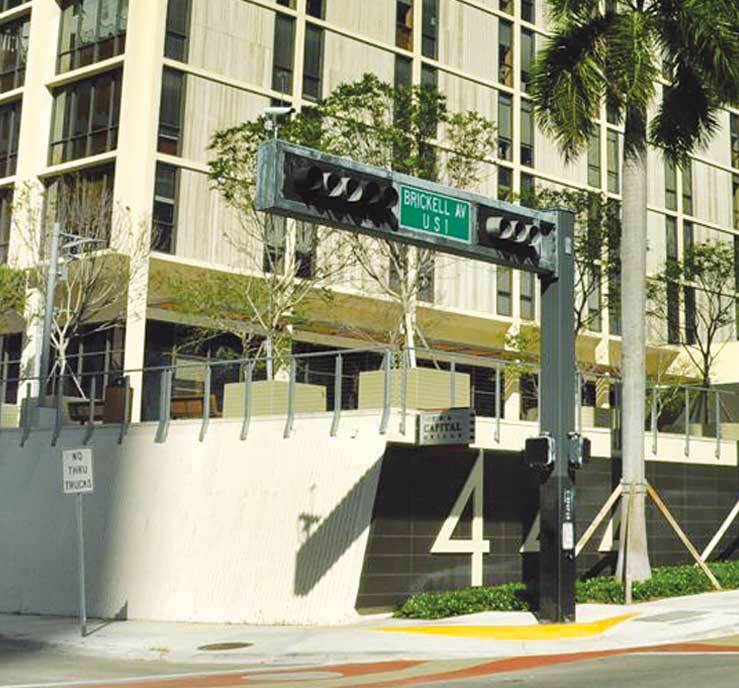 MyBrickell’s success withstanding a recession is in part to do its attachment to 500 Brickell, which meant that Related didn’t need to construct additional parking, he said. It’s that shiny veneer of MyBrickell, that high-quality finish that is rippling across the area. Mr. Ojeda said condo projects moving forward will be replicating the great finishing details of MyBrickell. Looking forward, however, this boom in construction not just in Brickell but across Miami may be hampered by construction costs. “Construction costs have already escalated a lot, mainly in cement and metals. You’re seeing an increase by the month,” Mr. Ojeda says. Because cement and metals aren’t simply finishing materials for interiors, a delay of a month in planning will result in a jump in construction costs, he said. So build now, and build fast. It’s not just the quality of the buildings that are going up, but the standards of the developers themselves that point toward a positive future for Brickell. “It’s good foreshadowing that the people who are building right now are the people that were able to withstand the recession, Jorge Perez, Craig Robins, my father, big developers,” Mr. Ojeda said. Projects that made news in 2013 include the Related Group’s One Brickell at 444 Brickell Ave., 500 Brickell at 500 Brickell Ave., and the Edge on Brickell, LLC’s Edge on Brickell at 55 SW Miami Ave.
For buyers looking closer to Mary Brickell Village, the 34-story condo tower NINE at Mary Brickell at 999 SW First Ave. opened its sales center this year, a project backed by Lynd and the Starwood Capital Group. Real estate has been one of the most preferred forms of investment by Indians for decade. The folks on this group are these with rising buying energy capacity.